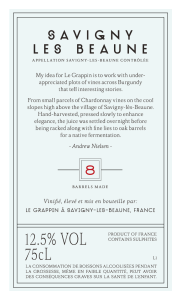 Golden Vines is honored to be working with Andrew Nielsen who is a “micro-negociant” based out of Savigny-les-Beaune. Le Grappin began after a five year journey working for some of the world’s great Pinot Noir & Chardonnay artisans. One thing I learned along the way was that special parcels produce special wine. These parcels don’t have to be famous, they just need to have something to say, and with care and attention in the vineyard and the winery, my job is to let them share their voice. My vision for Le Grappin is to seek out these special sites in the over-looked, under-appreciated reaches of Burgundy, the spiritual home of Pinot Noir and Chardonnay. 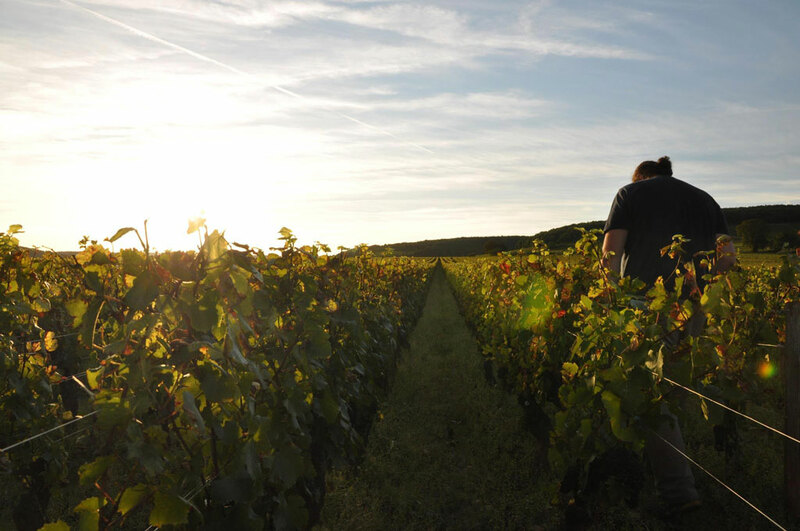 I search out viticulteurs who tend their vines throughout the year, with exceptional care and attention, to give the grapes the best opportunity to shine. 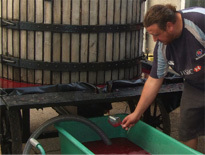 My job is just to ensure the wine reaches it’s true potential, working by hand, with small lots, giving each wine as much care and attention as my viticulteurs have paid to the vines. I believe one finds a sense of detail, purity and frission in my wines that results from this maniacal focus and I hope you find as much pleasure in them as I had in making them.